A highly anticipated collection of wildly imaginative short stories from "one of contemporary fiction's true mad scientists" (Necessary Fiction). In the weird and wonderful tradition of Kelly Link and Karen Russell, Amber Sparks's dazzling new collection bursts forth with stories that render the apocalyptic and otherworldly hauntingly familiar. In "The Cemetery for Lost Faces," two orphans translate their grief into taxidermy, artfully arresting the passage of time. The anchoring novella, "The Unfinished World," unfurls a surprising love story between a free and adventurous young woman and a dashing filmmaker burdened by a mysterious family. 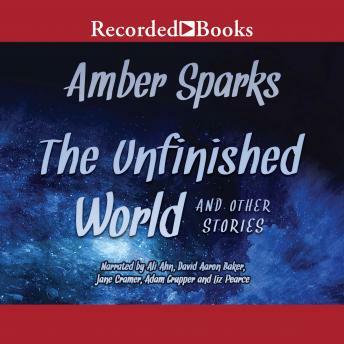 Sparks's stories-populated with sculptors, librarians, astronauts, and warriors-form a veritable cabinet of curiosities. Mythical, bizarre, and deeply moving, The Unfinished World and Other Stories heralds the arrival of a major writer and illuminates the search for a brief encounter with the extraordinary.